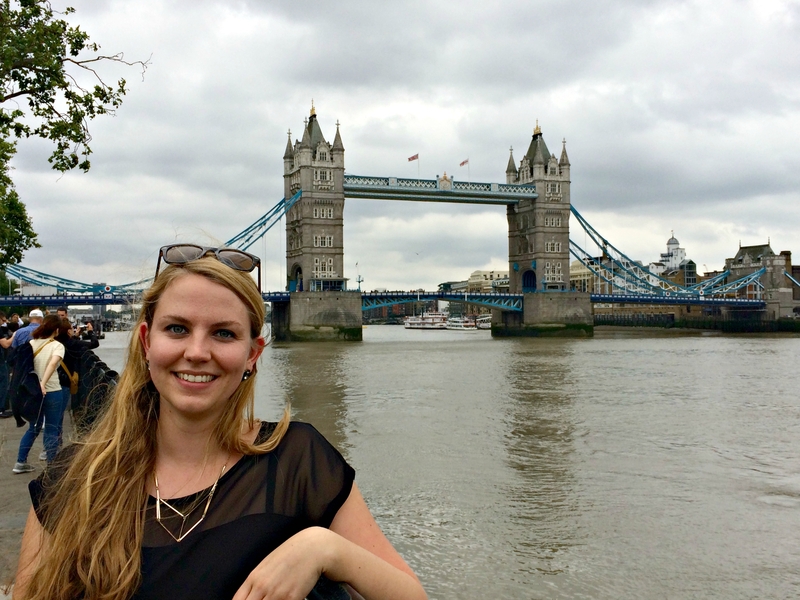 We had found incredible cheap flights and I had never been to London, so the decision to go was made very quickly. We had booked cheap Ryanair tickets, which I’m sure you all know, come with various consequences: small and random seats (no chance you’ll sit with your girls), only one piece of carry-on luggage allowed (which was manageable), and the most inconvenient airports one could wish for. So we ended up in Stansted, London and decided on the cheaper (8 Pounds) bus ride into the city. After failing to find a fellow couchsurfer, who would host us, we settled for a small and cute hostel in Camden, which actually turned out to be an awesome location. To save money, we stayed in a huge, mixed dorm room, which probably isn’t everyone’s cup of tea, but I sleep like a rock so I didn’t really mind. The hostel was connected to a little pub, which was the perfect location for meeting locals and sharing a nice drink after a long day of sightseeing. Of course, discovering the city by walking requires a little planning ahead. At least, we didn’t want to end up at the other end of the city at 10 PM and then have to walk all the way back. So we tried to divide the things we wanted to see in walkable clusters. 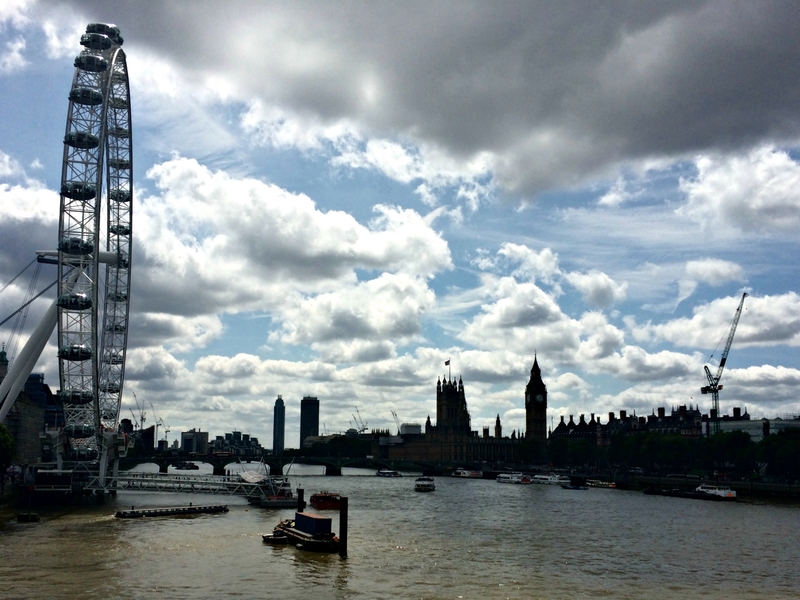 On our first day, we took on West London to see some of the most famous sights of the city. We started our day with a stroll through Soho and the West End, browsing the little shops, looking at all the Musical banners and ended up getting our tickets for Phantom of the Opera the next day. 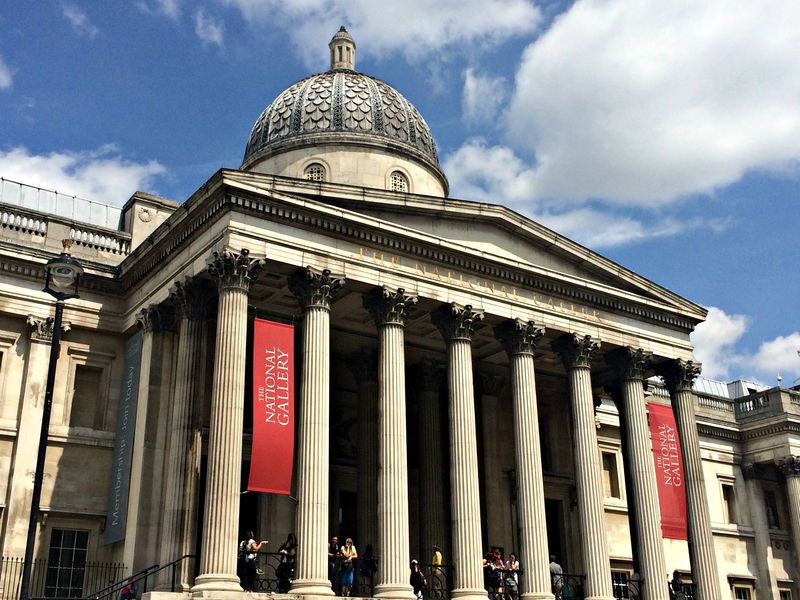 Moving on, we saw Trafalgar Square, with all the people in costumes trying to get a few coins from the tourists, took a bunch of photos and admired the National Gallery from the outside. Although admission is free, we decided to skip it in order to see more of the area. Instead, we headed southwest onto The Mall, the street leading straight to Buckingham Palace. 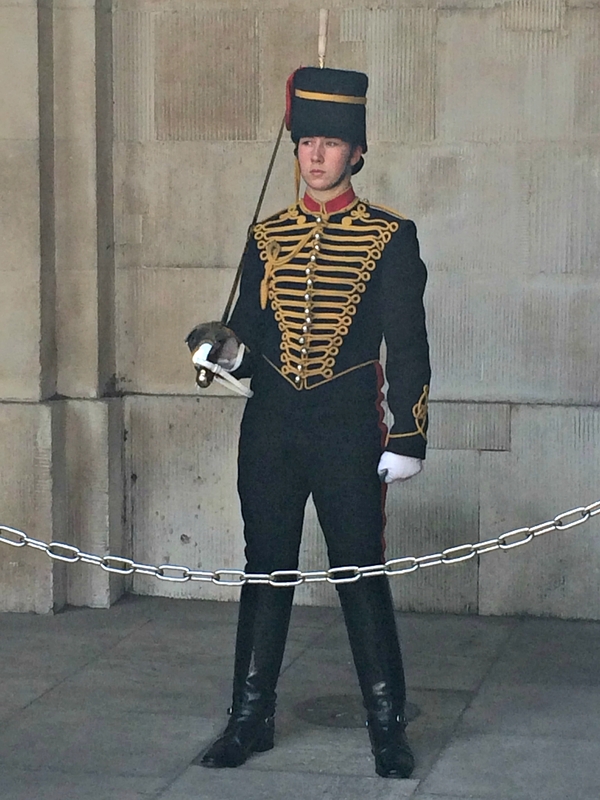 On our way back we walked through St. James’ Park to the Household Cavalry Museum, where you can take photos of different guards. 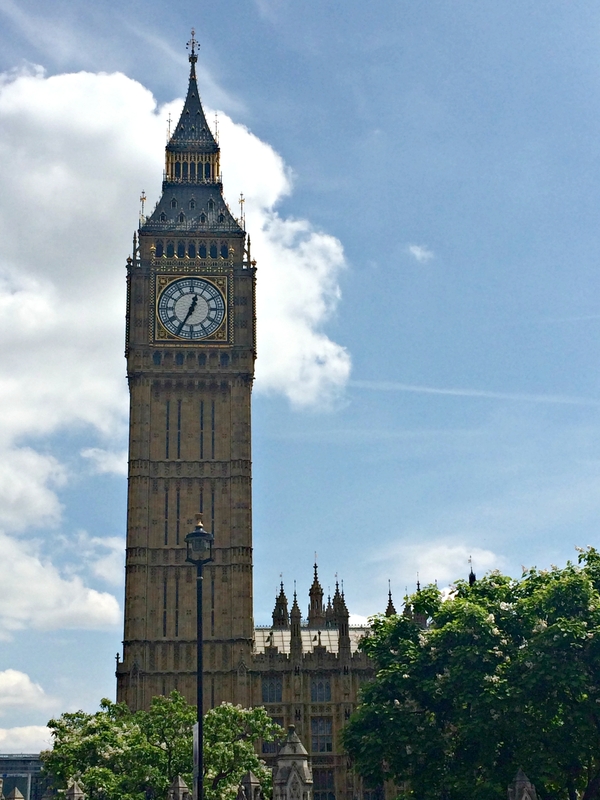 Next, we walked towards the Westminster to see Big Ben and Westminster Abbey. This area was crazily crowded and quite overwhelming for me, but still I managed to take some sweet photos. As I mentioned before, we didn’t see the inside of Westminster Abbey, because admissions were 20 Pounds. However, right next to the big church, there is a little chapel that is also really nice to look at and it’s free. 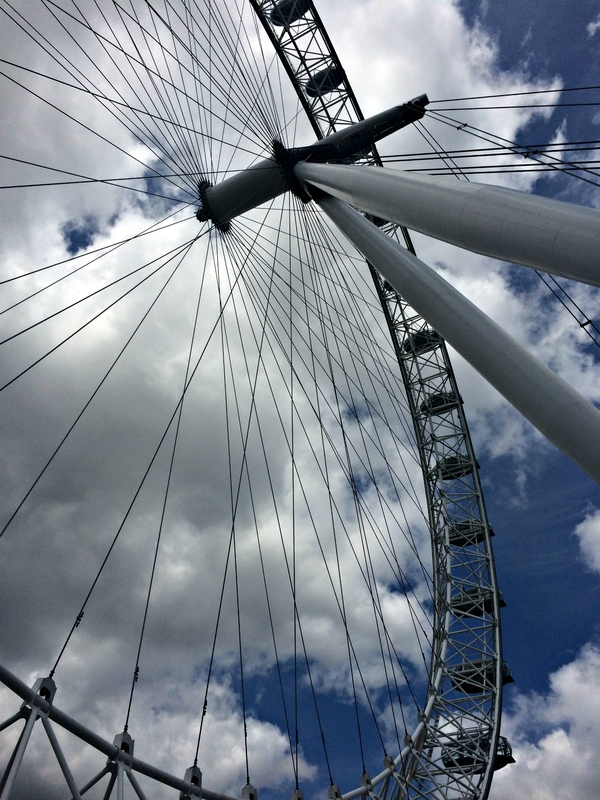 After taking the appropriate amount of touristy pictures, we went to cross the Thames and walk past the London Eye. Worst. Idea. Ever. I’ll never go there again. A bunch of tourist attractions including the London Eye are located right on the promenade, which is just not big enough for all the tourists. So we ended up being stuck in a “human traffic jam” for quite some time and the police had to come to manage the crowd. Thank god, nobody panicked. Stressed out by the sheer number of tourists we headed back North for a calm afternoon in Covent Garden, a walk on Baker Street to see Sherlock’s house and a stroll through the beautiful Regent’s Park. 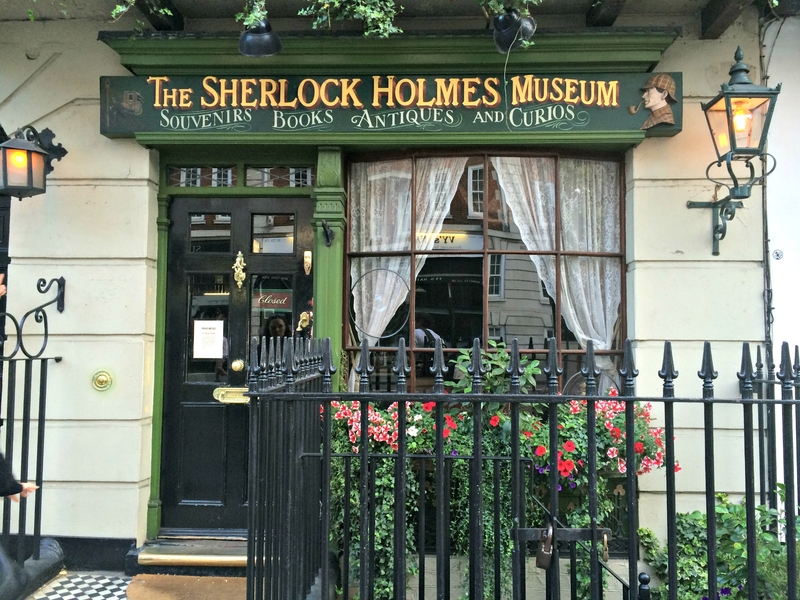 Fangirl time at 221b Baker Street. 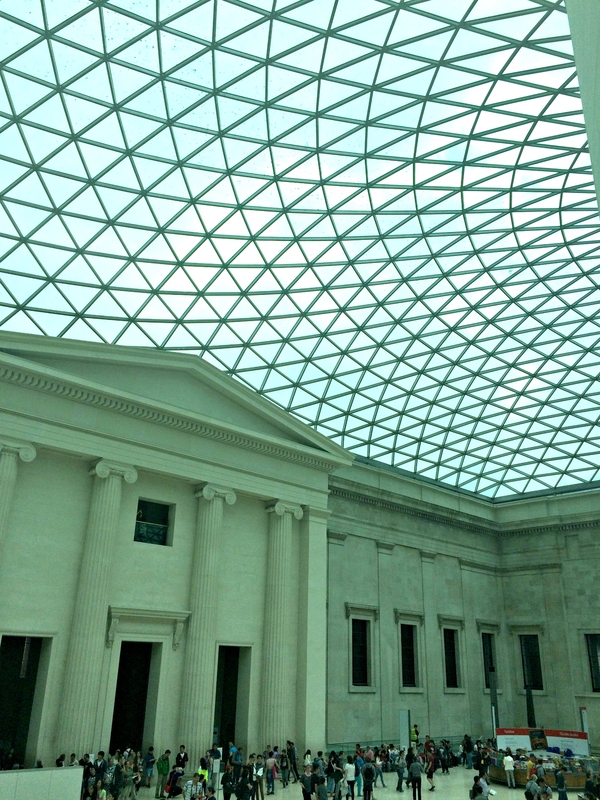 There are so many free museums in London, it’s super easy to cope with a rainy day. 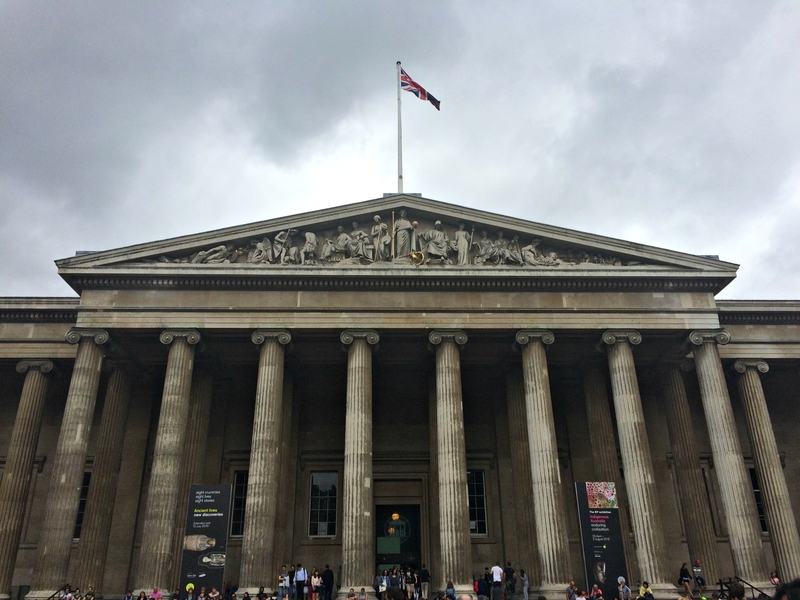 We decided on the British Museum and stopped at King’s Cross Station on our way home. Best. Thing. Ever. 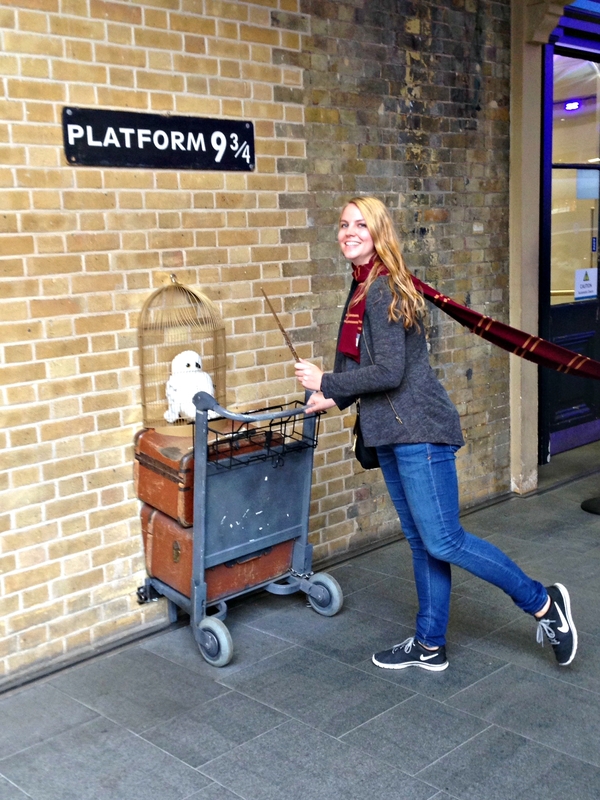 I think I’ve mentioned before, that I am the ultimate Harry Potter nerd, so I just had to take photos with the Platform 9 ¾ sign. Luckily, you’re allowed to take your own photos and don’t have to buy the ones from the photographer. But waiting in line might take a while, so be prepared. My personal highlight: I got to be a witch for a couple of minutes! After watching the Change of the Guards in front of Buckingham Palace at 11 AM (be there at least an hour earlier if you actually want to see stuff), we headed towards the eastern part of London, Well, walking there sure took us a while, but there are lots of snack shops and beautiful buildings on the way, so we managed. 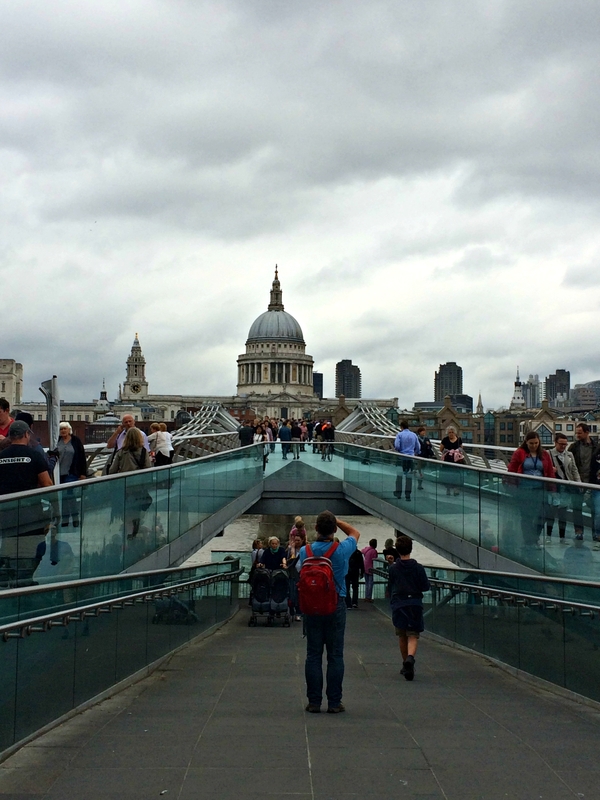 St. Pauls Cathedral, the Globe theater, the Millenium bridge (and the guy turning chewing gums on the bridge into art), the Tower of London, and the Tower bridge are probably the most famous things you can spot and photograph in that area. However, I also thought it was interesting to see how different the atmosphere was in this part of the town. We walked past the financial district, so the buildings were more modern, people are always in a rush, and we were surrounded by fewer tourists for a change. On our way back, we found the Thames Path, which obviously leads you away from the street and behind the buildings right along the river. It’s a lot more quiet and relaxing. Camden Town was perfect to spend our last (not even complete) day in. This part of the town is a little punk, a little hipster, and a little bit for everyone. I originally wanted to go there, because one of the first chapters of my English Textbooks were set here, later I noticed that Camden Town is quite the hype at the moment. And although there were a lot of bloggers and vloggers, and cameras, I just loved the food (so much gluten-free stuff!!) 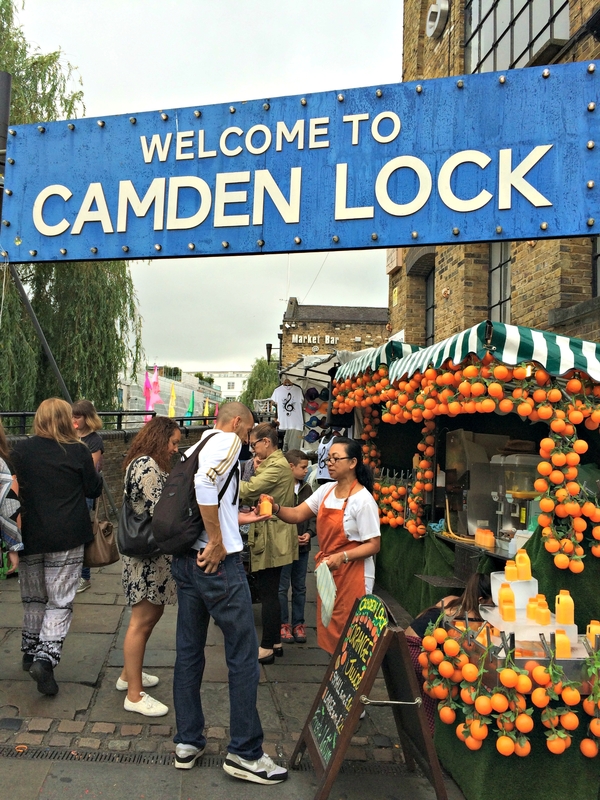 and the flea markets around the Camden Lock and the old horse stables! If you’re not on a budget as we were, you might want to consider the London Pass. You pay a set price for getting the Pass for a couple of days and then get free admission at various attractions. This will only pay off if you visit a lot of things, so plan ahead! For peeps who have never been to a wax museum, the original Madam Tussaud’s could be interesting. For affordable musical or opera tickets, go to the Leiceister Square Box Office early in the morning. They have a lot of discounts on last minute tickets as well as a list of showings and where to get the cheapest tickets (sometimes, buying the tickets at the theater is cheaper). Unfortunately, there are no student discounts available. Hi Julia, What a great post. I look forward to reading more. The trip to London looks fun! Hi Lisa, thanks for stopping by 🙂 glad you enjoyed it! I knoow, Sherlock’s the best. I read that London is kinda your favorite city, do you have any trips to London planned? I love this! And I would DIE to push that cart at platform 9 3/4! So jealous! Great job making a trip to London so frugal and doable as a student. This looks amazing and beautiful! I would have loved the flea markets at Camden. It looks like a cute place! We just got home from our trip to London with our littles. We were not able to do quite as much as you got to do. I love traveling with the kiddos but I miss the days of being able to meet up with other travelers in pubs and hostels. It sounds like you had a great trip! This is such a great post Julia! I’ve been to London only once and I sure wish I could have read this post first! I can’t wait to read more! Great post!! It made me really want to go back to London. Another great thing to do on a budget is to take the boat tour on the Thames from London to Greenwich. I want to go to London so bad. Maybe one day…. Thank you so much for sharing. I came over from the Blog Engagement/ Promotion Group. Also dieser Camden Market hats mir jetzt wirklich angetan, nachdem ich auch noch die Fotos und Text dazu sehen und lesen konnte ! Freut mich, dass es dir geholfen hat. Viel Spaß in London! !